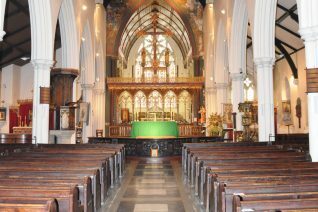 Last December there was a fire at St Paul’s Church; luckily the pulpit escaped the fire, but the grand piano was destroyed and there was a large amount of smoke damage. 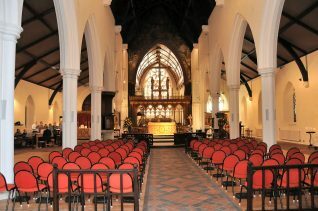 As a result the church had to be closed for services while the building was repaired and renovated. Happily the renovation and cleaning work has now been completed and a new floor has been installed. 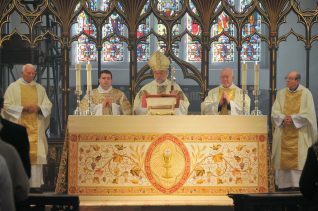 To celebrate the re-opening of the church, the Bishop of Chichester was the Principal Celebrant and Preacher at a Feast of Dedication on Sunday 16th October. 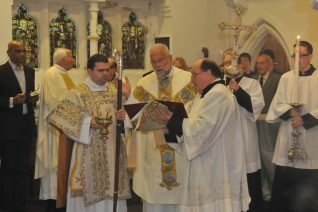 The Bishop is about to retire and so was pleased to be able to perform the dedication as one of his last duties. 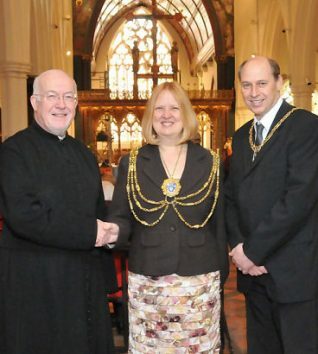 The Mass was attended by invited guests and parishioners together with the Mayor of Brighton and Hove, Councillor Anne Meadows and her consort, Tony Meadows. After the mass there was a celebration lunch to mark this very special day. Click on the photographs below to open a larger version in a new window.